Suzuki Ignis Performance, Engine, Ride, Handling | What Car? 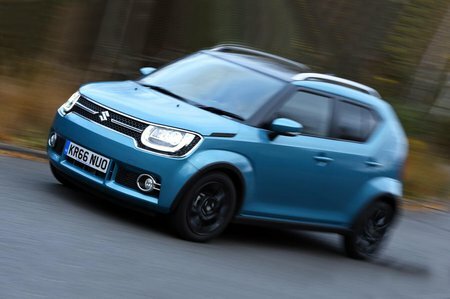 The 1.2 Dualjet’s 89bhp may sound modest, but the Ignis certainly doesn't feel lacking in power. We managed a very respectable 10.0sec in the 0-60mph sprint; that's better than a 1.0-litre Kia Picanto or any Dacia Duster could manage. And the 88lb ft of torque offers enough in-gear zip to accelerate you ably from low revs, meaning you don’t have to change gear all the time. When you do use the Ignis's five-speed manual gearbox, it is precise enough to make the whole experience rather enjoyable. That's a good combination for private buyers. The more expensive 1.2 Dualjet hybrid provides a bit more go, though, but the real gains are in the real-world fuel economy of that mild hybrid engine. We have yet to try the optional five-speed auto gearbox, but the cheaper manual is sweet enough that most won’t mind changing their own gears. 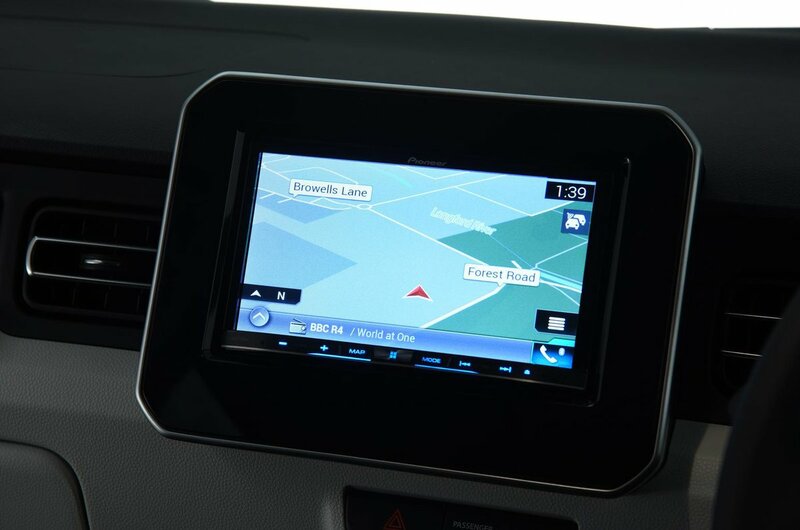 Other areas of the Ignis are less accomplished. Take the braking performance, where it took 8.3m farther to stop from 70mph than a Kia Picanto X-Line. And the steering is inconsistently weighted, tending not to self-centre at town speeds and plagued by a pronounced kickback over sharp ridges in bends. There’s also much more body roll than you'll encounter in the best-handling city cars such as the Picanto, the higher-riding Picanto X-Line and the Volkswagen Up, but it certainly feels more agile than the Duster. Still, the Ignis's low weight and compact dimensions help it at least feel manoeuvrable, and grip levels are reasonable, provided you’re not trying to drive the wheels off it. Its real trump card, though, is that you can opt for four-wheel drive to allow the Ignis to go off road. 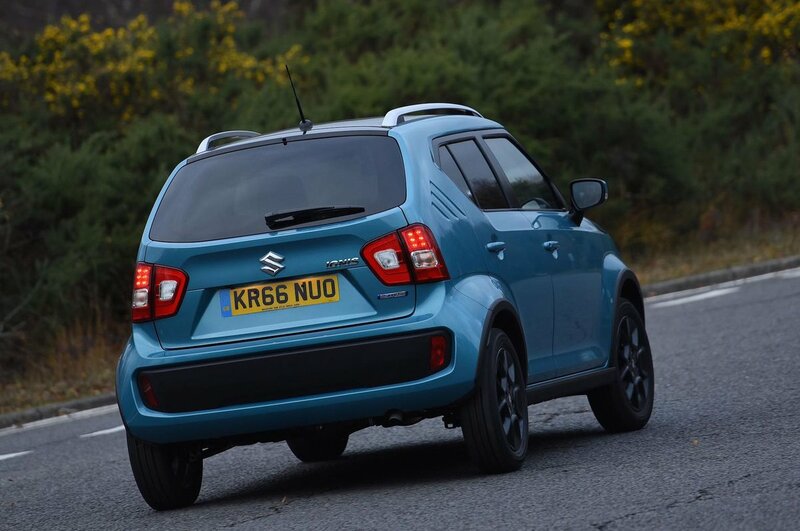 Okay, Suzuki's Allgrip technology is designed to help the Ignis cross muddy fields rather than traverse mountain ranges, but the fact that it's available in such a small car is impressive, as is the fact that it brings proper SUV gizmos such as hill descent control. How does it ride? Well, the Ignis’s soft suspension set-up translates in part to a comfortable ride, acting to cushion wavy dips and crests. But the effect is marred by constant fidgeting over scruffy town roads and a thwack that reverberates through the body if you stumble across a razor-edged pothole. Refinement on the move is a mixed bag. The Ignis’s engine is a gem – always audible but never coarse, emitting a pleasantly sugar-coated note even when thrashed. Road noise at 70mph is apparent, but it’s the wind noise gusting around the windscreen pillars and door mirrors that’s most irksome on a prolonged jaunt along the motorway. Oh yes, the brakes feel overly sharp and hard to modulate around town, yet don't do a great job of stopping you from high speeds.